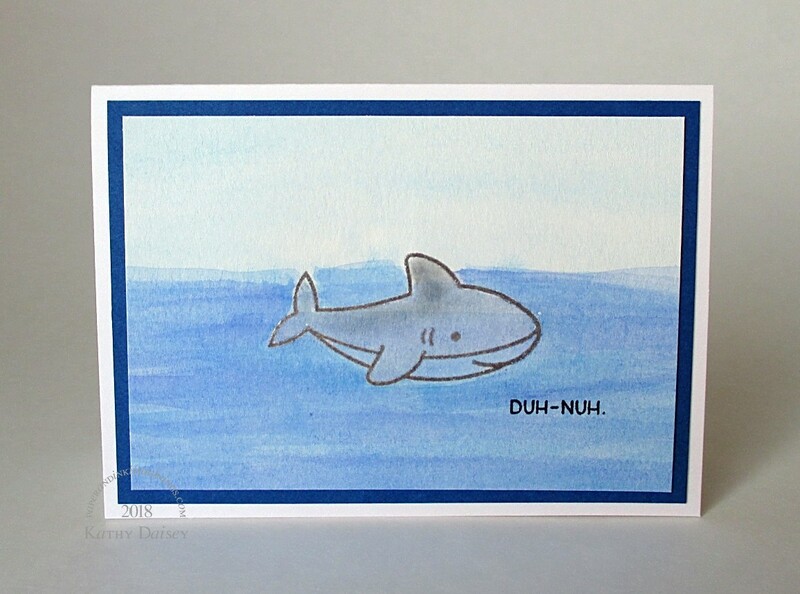 Do you remember the first time you saw the movie “Jaws”? I remember it vividly…August 1975. At least we waited until after the beach vacation to go see it. 😉 I still stop and watch it when it is on our cable TV. Supplies: Stamps – Lawn Fawn, paper – Canson watercolor, Gmund Royal, Neenah Classic Crest Solar White, inks – VersaFine Onyx Black, Smokey Gray, watercolors – Sakura Koi, embossing powder – Filigree Fine Art Powder clear. Categories: card, caring, thinking of you | Tags: Canson, card, Gmund, Lawn Fawn, Neenah, Sakura, Tsukineko, VersaFine | Permalink. 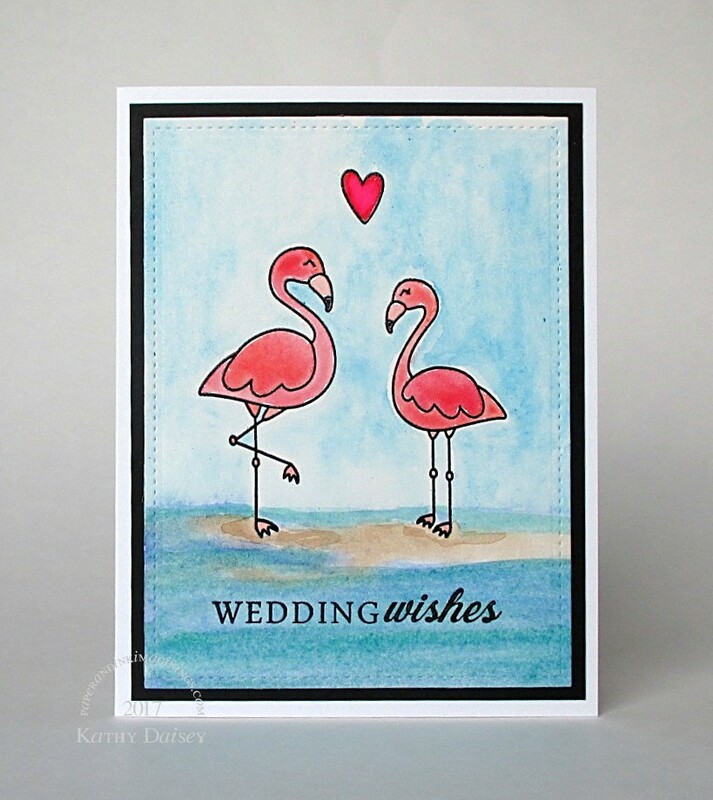 What about a cute flamingo couple for a wedding card? Supplies: Stamps – Papertrey Ink, Technique Tuesday, paper – Canson watercolor, Neenah Classic Crest Solar White, Stampin’ Up! Basic Black, ink – VersaFine Onyx Black, watercolors – Sakura Koi, embossing powder – Filigree Fine Art Powder, Ranger clear. Categories: bridal/wedding, card | Tags: Canson, card, Lawn Fawn, Neenah, Papertrey Ink, Ranger, Sakura, Stampin' Up!, Technique Tuesday, Tsukineko, VersaFine | Permalink. 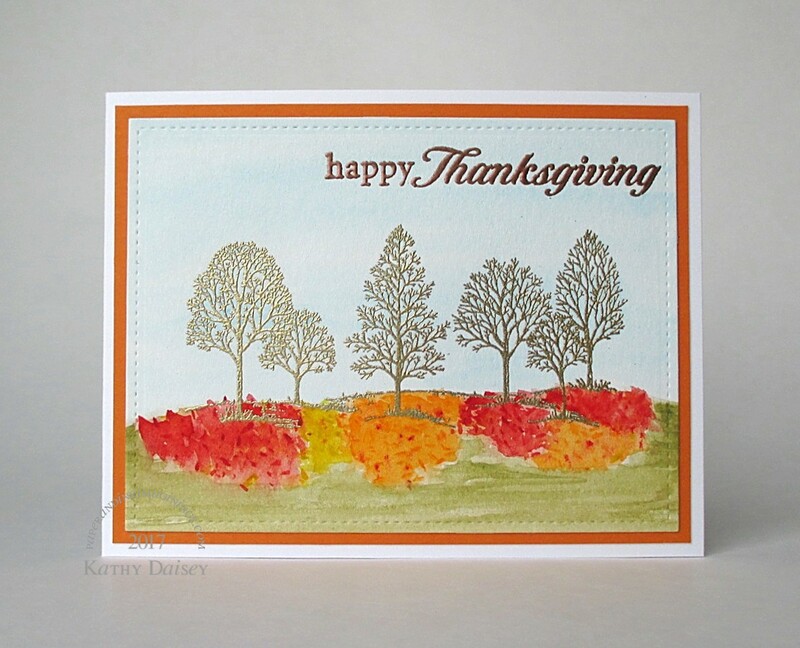 For this card, I used my favorite stamp from the Stampin’ Up! Lovely as a Tree set (how I have not worn this stamp out, I do not know! ), embossed in gold. Supplies: Stamps – Hero Arts, Stampin’ Up!, paper – Canson watercolor, Neenah Classic Crest Solar White, Stampin’ Up! Pumpkin Pie, inks – VersaFine Vintage Sepia, VersaMark, watercolors – Sakura Koi, die – Lawn Fawn, embossing powders – Stampendous Gold Detail, Stampin’ Up! Classy Copper. Categories: card, holiday | Tags: Canson, card, Hero Arts, Lawn Fawn, Neenah, Sakura, Stampendous, Stampin' Up!, Tsukineko, VersaFine, VersaMark | Permalink. I made this a few weekends ago (I think I made 10 sympathy cards that weekend – for the basket, for the gallery). Supplies: Stamps – Papertrey Ink, Stampin’ Up!, paper – Neenah Classic Crest Solar White, Ranger Distress Watercolor, Stampin’ Up! Basic Gray, ink – VersaFine Onyx Black, watercolors – Sakura Koi, die – Lawn Fawn, embossing powder – Filigree Fine Art Powder clear. 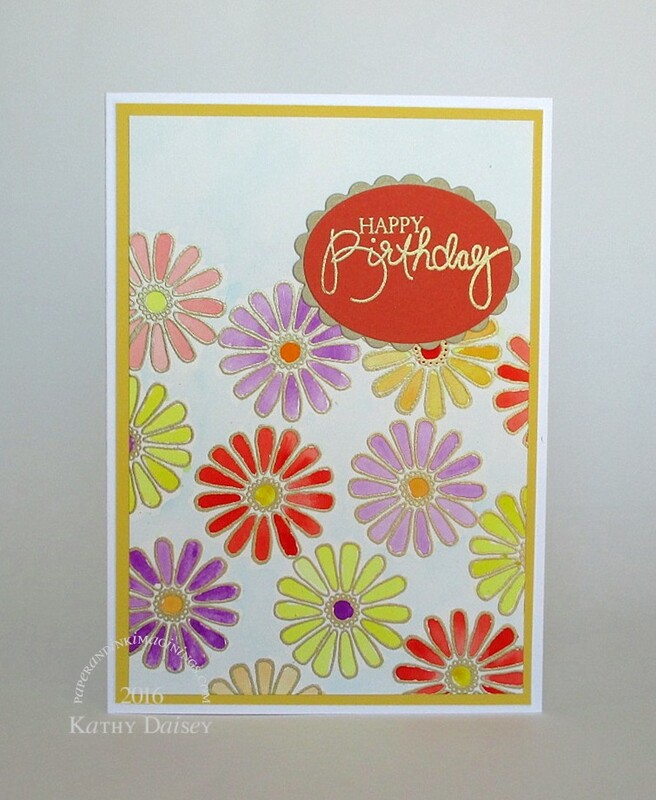 Categories: card, sympathy | Tags: card, Lawn Fawn, Neenah, Sakura, Stampin' Up!, Tsukineko, VersaFine | Permalink. I am still trying to restock sympathy cards (in the basket, in HorseSpirit Arts Gallery). 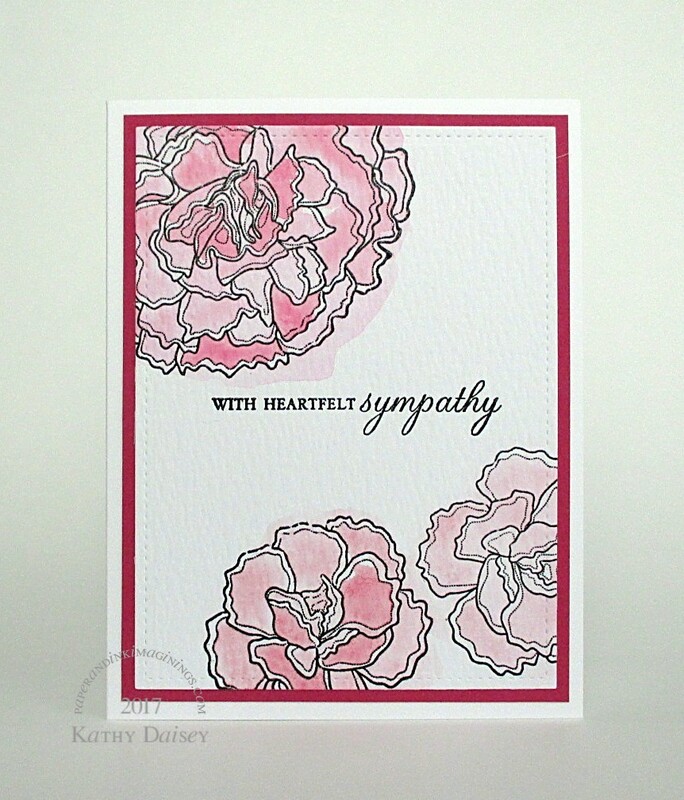 I stamped carnations and a sentiment onto watercolor paper and embossed them. Then, I loosely watercolored the carnations. I am not sure if I was “loose” enough – it might just look like I am awful at staying in the lines. Supplies: Stamps – Papertrey Ink, paper – Neenah Classic Crest Solar White, Ranger Watercolor, Stampin’ Up! Rose Red, ink – VersaFine Onyx Black, die – Lawn Fawn, watercolors – Sakura Koi, embossing powder – Filigree Fine Art Powder clear. 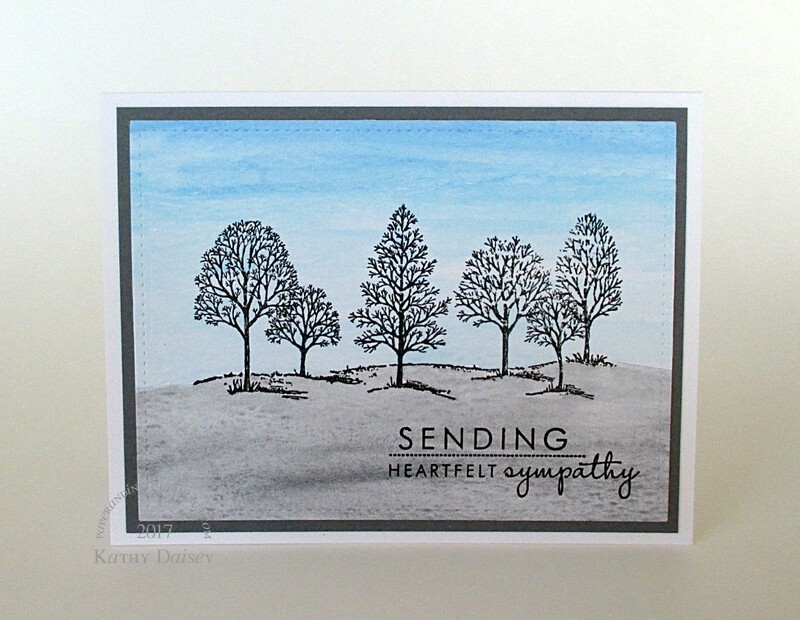 Categories: card, sympathy | Tags: card, Lawn Fawn, Neenah, Papertrey Ink, Ranger, Sakura, Stampin' Up!, Tsukineko, VersaFine | Permalink. I used my Sakura Koi Pocket Field Sketch Box (adorable little box of paints!). Supplies: Stamps – A Muse Artstamps, Papertrey Ink, paper – Canson watercolor, Neenah Classic Crest Solar White, Stampin’ Up! Brushed Gold, Daffodil Delight, Tangerine Tango, watercolors – Sakura Koi, dies – Spellbinders, embossing powder – Stampendous Gold Detail. 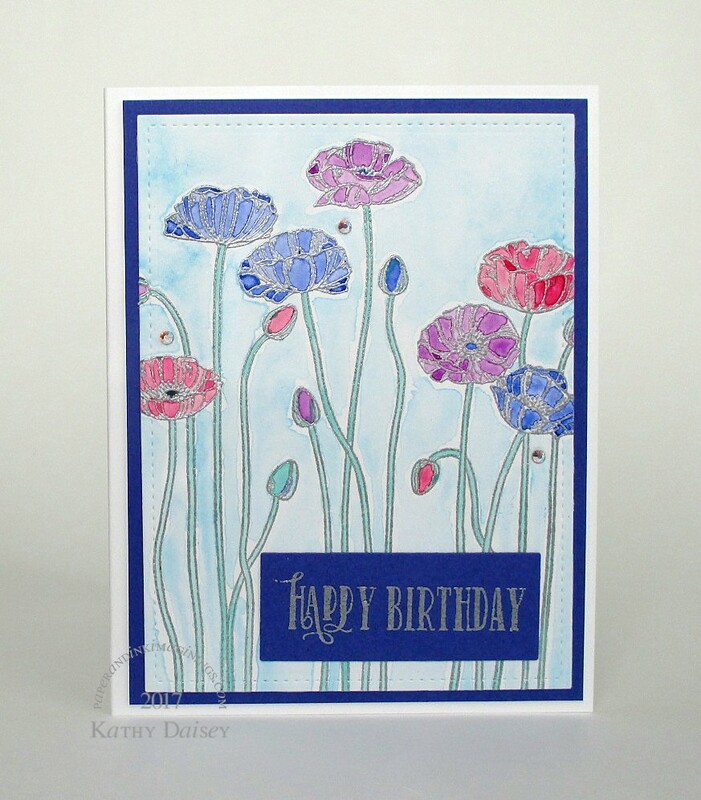 Categories: birthday, card | Tags: A Muse Artstamps, Canson, card, Neenah, Papertrey Ink, Sakura, Spellbinders, Stampendous, Stampin' Up! | Permalink.